So many more chapters to write! Now I’m not saying this because I’m in the doghouse for forgetting our anniversary, leaving the toilet seat up, or getting drunk and passing out at a family function. I’m writing this because my wife is going through some really heart wrenching stuff, on top of recently starting a brand new job. She is awesome! I struggle at times with how to best support her during these hardships, and I often feel inadequate. The only thing that comes to mind is to say “I love you!” Is that enough? Probably not. But my prayers and admiration go with her as she goes about her day. 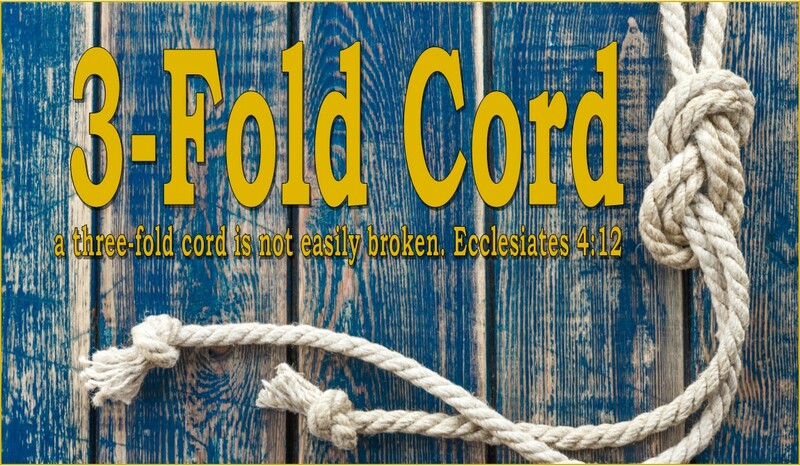 The 3-fold-Cord blog is all about a husband and wife’s crazy journey through the world and this Christian life. I will never forget this. 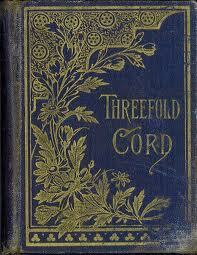 I will also never forget the Third Cord that binds us together and gives us the peace that passes all understanding. Here is to you my Love… I cannot imagine a world without you. May we press on- and through- so that we finish this crazy race to the honor and glory of Jesus Christ! Thanks be to GOD for giving me someone to complete me: "Soul Meets Body". Do you have a spouse or significant other worthy of praise and honor?